WHAT is fun, adventurous, quirky and unique? Well, it’s a ‘pug’, but not the smushed in face, waggy tale puppy dog kind. 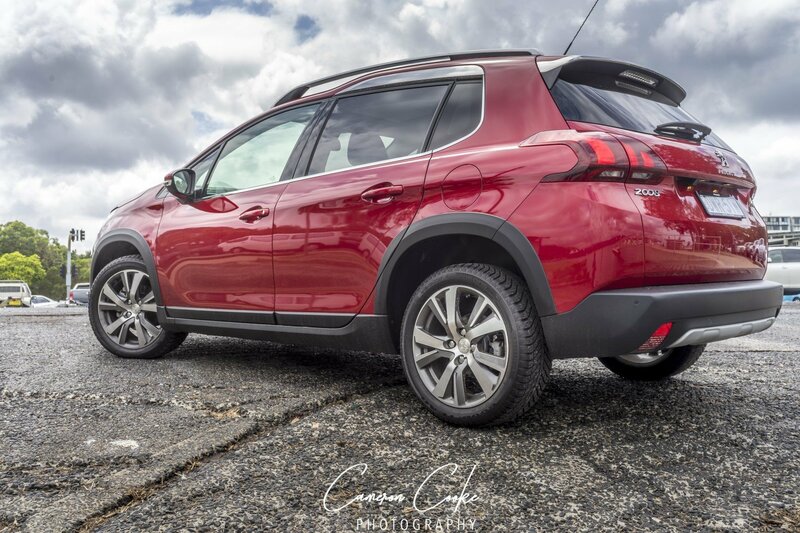 It’s more like the compact crossover SUV kind; or as we like to call it, the 2019 Peugeot 2008 Allure. It’s a car with a bit of a sordid past, as the first version of the 2008, which appeared in 2013, featured a bland 1.6-litre petrol engine paired with an unimpressive auto gearbox, or alternatively a 1.0-litre turbo petrol engine with a manual gearbox. It didn’t go well for the French car maker. We can assure you though, those days are long gone, and the 2019 Peugeot 2008 Allure is a giant leap forward by comparison, with better everything, including engines and gearboxes. Up against a packed segment that includes the Nissan Juke, Renault Captur, Holden Trax and Mazda CX-3, the 2008 features an array of fun little quirky things which the French car brand is renowned for. 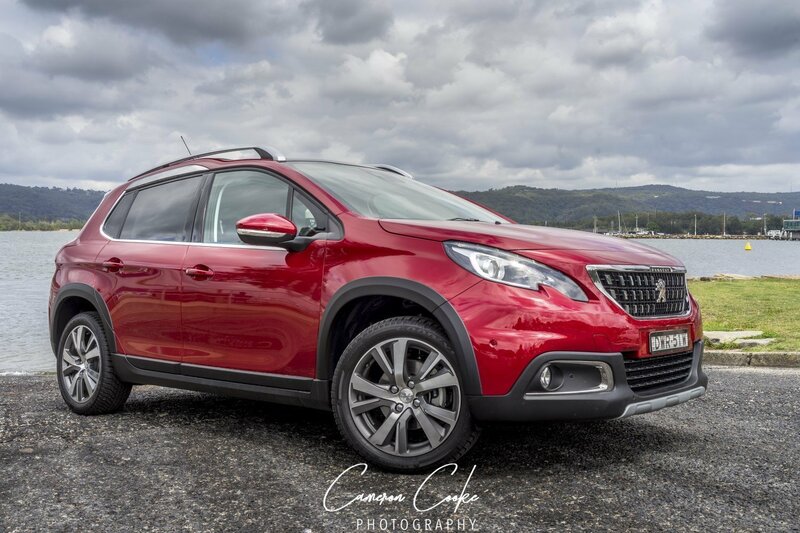 From the odd lever based handbrake to the cloth covered panoramic sunroof with funky lighting, the Peugeot 2008 is a true crossover and is a bold statement of the company’s innovative nature. Not only that, it’s feature packed, with a raised ride height, 17-inch alloy wheels, chrome highlights, heated and super comfortable leather seats, plenty of stylish black inserts, SatNav and active climate control. You’ll also find cruise control, hill hold assist, rain sensing wipers, and a reverse camera on board, as well plenty of room for luggage, with a 410-litre boot as standard, which can of course be expanded by flipping the rear seats forward. It’s one of those vehicles that is very much suited to the urban dweller who needs a getaway every now and then. It’s small enough to park pretty much anywhere but big enough to load up and hit the open road. Don’t hope to throw your friends in the rear seats though, they’re a little uncomfortable and that would worsen over long driving periods. In essence the back seats feel more like they’re aimed at children as rear head room is a challenge. That said, the interior of the 2019 Peugeot 2008 Allure feels very premium for a base model, and everything throughout the vehicle has a certain quality about it. Among those premium features is the F1-styled oval steering wheel and high-set dash. Kick the gas pedal and you’ll see the speedo climb nicely thanks to the turbocharged 1.2-litre 3-cylinder petrol engine that produces 81kW of power and 205Nm of torque. It’s mated to a 6-speed automatic transmission and is front wheel drive. 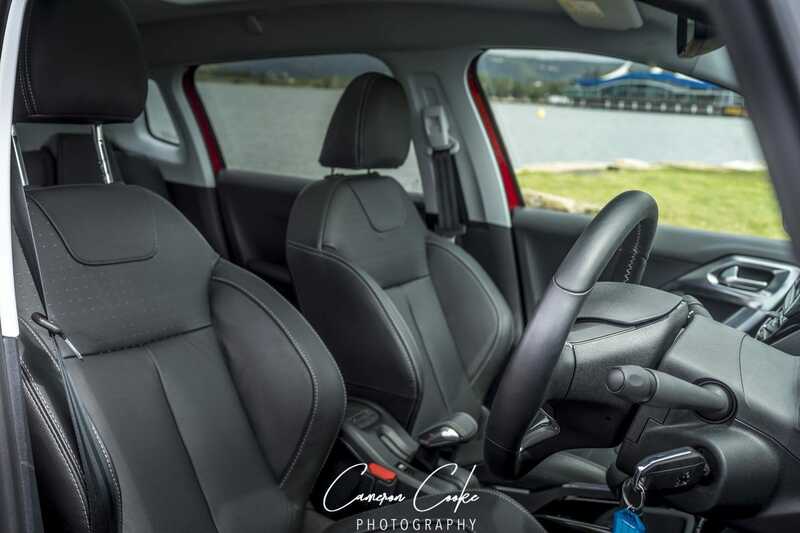 The steering feels light and responsive, and with a kerb weight of 1,045kg, this hatch turned crossover offers outstanding fuel economy from its 50-litre fuel tank. We’re talking 4.8-litres/100km. Let’s put that into perspective. We got more than 1,000km on a single tank of fuel. 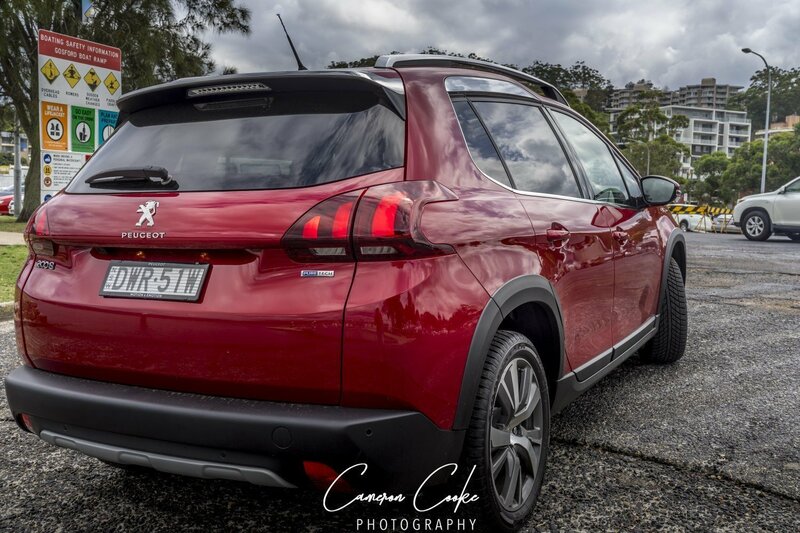 Put simply, Peugeot have done an incredible job bringing back the 2008, in a much improved iteration, for another try at the Australian market. It can be difficult to shake of perception locally, particularly when you’re a French car, but everything about the 2008 Allure is better than what has come before. It will put a smile on your face when you drive it. It comes with a 5-year warranty, and while Peugeot’s sales figures are only about 0.1 per cent of the market leading Mitsubishi ASX, the 2019 Peugeot 2008 Allure is an outstanding offering and well worth consideration. You can have it in Ultimate Red, Perla Nera Black, Crystal Emerald, Artense Grey, Platinum Grey, Bianca White or Pearl White, and all for $33,747 plus on-roads. Our test vehicle was provided by Peugeot Australia. 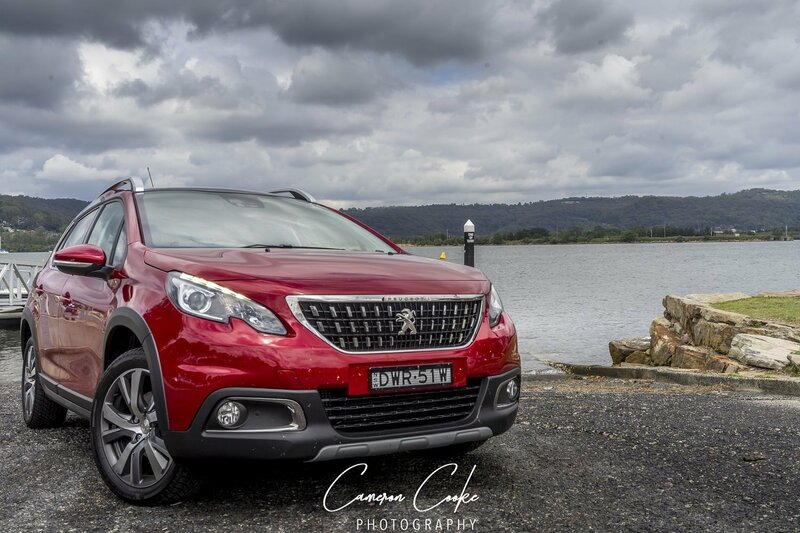 To find out more about the 2019 Peugeot 2008 Allure, contact your local Peugeot dealer. Pictures courtesy of Cameron Cooke Photography. Pros - the 1.2-litre turbo engine; huge boot space; excellent fuel consumption. Cons - impractical rear seating for adults; expensive servicing; missing AWD option.